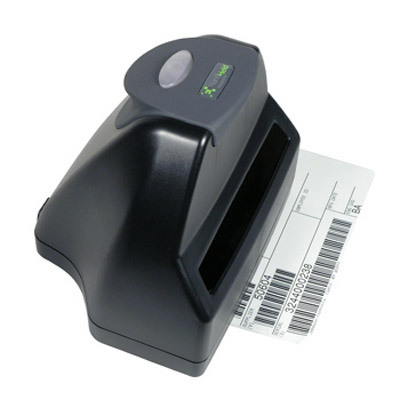 The integrated solution to bar code symbol verification, the Honeywell / Hand Held Products QC890 Verification System consists of the optical input device and the Quick Check® ImageData (QCID) graphical user interface. Flexible, Easy Setup and Operation - Compatible with Microsoft® Windows® 98 Second Edition, Windows® 2000, Windows® NT (only RS232), Windows® XP, Windows® Mobile 2003. Hands-Free Use - Increases repeatability in challenging applications and limits variability due to operator technique. Interchangeable Optical Input Devices - Choice of mouse wand, pen wand or handheld imager. Bluetooth® Wireless Connectivity - Eliminates the need for cables. Localised Language Options - English, French, German, Spanish, Portuguese, Chinese and Japanese.